Whether you have a subscription box business or you’re starting one, this blog post is for YOU. We walk you through everything you need to know about successful subscription box marketing, so read on! The subscription box business took the eCommerce digital industry by storm! There is now a subscription box for everything under the sun. From boxes for your dog, beauty products, clothing, even paper and stationery, if there’s a niche you’re considering developing a box for, it probably already exists. Growing at a rate of 200% a year since 2011, the subscription box industry is in a rapid state of expansion with more than 10,000 subscription boxes now on the market. With so many subscription boxes it’s a wonder how most make it through their first year. There’s bound to be some subscription box crossover and fierce competition, right? The answer is, of course, yes. So how do you stand out in a saturated market? How do you make your subscription box stand out and gain new loyal subscribers? Whether you want to start a subscription box business or you already have a subscription box business model and need to step up your marketing, this blog post is an absolute MUST READ. We’re about to review the actions you can take to STAND OUT in the crowded subscription box industry, how you can GAIN NEW monthly subscribers, and how to DEVELOP A LEAD FUNNEL that continuously gives you sales! Once you have your subscription box business formed it’s time to start selling. In order to start selling you need a website, a conversion-focused website to generate sales. This means you need to understand your buyer’s journey and the types of content your ideal buyer will need to consume at each stage of their journey with your company. You’ll need to know what types of content your ideal subscription buyer will like so you can develop content offers at each stage of the buyer’s journey and capture them so that you can nurture them to purchase. Only 4% of the visitors that come to your website are ready to buy! What happens to the other 96%? If you don’t have a way to capture them, then you may lose them forever. It’s a staggering number, and to make sure you really understand it let me explain it in a different way. For every 100 people that visit your website, 4 are in a position where they might pull the trigger. The other 96 are just checking you out. If they leave they might never return to your website, so what do you do? The simple math points to one thing—the more landing pages (content offers) you have on your site, the more leads you’ll get. 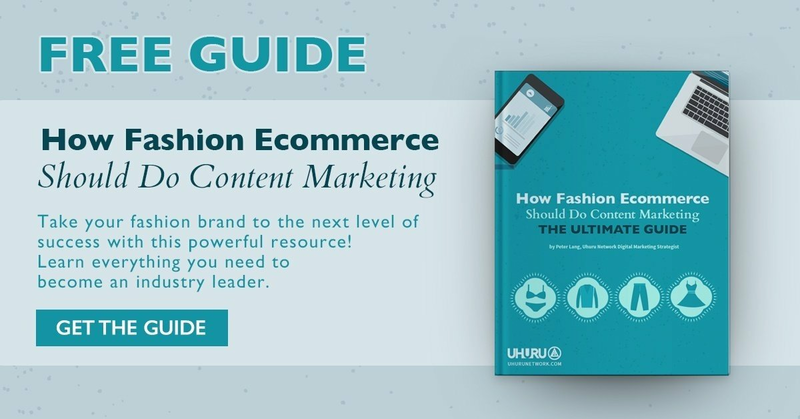 Usually, when you have an ecommerce website the goal is for the website visitor to purchase, but when 96% of the visitors are not ready to commit, you NEED to be capturing their information in other ways to build your lead volume. For example: Let’s walk through the buyer’s journey of a dog owner who would most likely subscribe to a dog/pet subscription box. Let’s say the persona they’re targeting is a young 30-something female who lives in a major city in the USA in a small apartment and works at an office job downtown. She has one dog and it’s her first pet. She looks for information online about caring for a pet, looking for local vets, how to keep a pet entertained while working, proper exercise, traveling with a pet, etc. Note: This is the simplistic funnel and is great if you’re just starting out developing the buyer’s journey. If you’re looking to step up your buyer’s journey, and we always suggest that you do, then your buyer’s journey will look something like this. Because in subscription boxes, it really is about repurchasing and repurchasing!! Start developing more “offers” for your visitors and watch your lead count increase dramatically. “Businesses with over 40 landing pages generated a whopping 12 times more leads than those with only 1 to 5 landing pages.” source. Once you have these leads it’s time to nurture them with more valuable content until they become subscribers. Even though subscription boxes are meant to be “one-size-fits-all” there are some subscription boxes that require a little more personalization. Think beauty, health, or hair care. Subscription boxes that are providing products for specific uses like makeup or natural hair need to be semi-personalized. A bottom of the funnel quiz is the perfect way to capture visitors, make them feel important/unique, and get the sale. The uber-popular subscription box ipsy does this perfectly! Their website won’t show you any other information until you take their quiz, making it super conversion focused. It works hard to get visitors to take the primary desired action (the quiz). BarkBox uses this questionnaire funnel as well. While the BarkBox questionnaire is much quicker and simpler, the idea of delivering a “personalized experience” still applies. It almost goes without saying that content is a “must” in subscription box business marketing. Content is necessary, not only to bring new subscribers but to keep current subscribers entertained and coming back for more. There are a few ways to approach content depending on your subscription box model. Try executing as many of these marketing tips as possible and selecting the ones that you find to be most effective for each stage. Whether your box deals with beauty, crafts, food, or even men’s grooming, creating tutorials on how to use the products you’re sending your subscribers every month is a great way to serve your audience. It’s a proven method to demonstrate that you truly care what you’re providing and demonstrate that you’re there to help them. Ipsy does this with dedicated content creators and shares the tutorials on their Facebook page. With more than 4.7 million likes on their page, they’ve made it a clear resource for educational content. You’ll also notice on the update below that they are linking to a special offer to purchase something other than their box subscription. Since most of the “likers” on Facebook are already ipsy subscription box subscribers, they are strategically using this content to continue to delight their subscribers and nudge them to purchase more products. Subscription boxes are the gateway to purchase full-sized products from the same business. Sephora is one company who has absolutely nailed this concept. The major beauty retailer created it’s own monthly subscription box, Play by Sephora. It’s filled with samples of products that you can purchase at Sephora stores, knowing that customers who receive a product that they love in their Play box will likely purchase the full-size product as well. Their carefully crafted “current box” subscription landing page has everything you need; the products you received in your box, tutorials on how to use each product, a video review of the box with one of their Sephora Pro Artists, a ton of beauty tips, and links to purchase the full-sized products. In case that’s not enough, you can even visit your local Sephora where they will show you how to use the products included in the box for free. Something that became unexpectedly popular was unboxing videos. If you’re reading this blog post you likely know what unboxing videos are and why they’re so popular. If you’re new to the idea, unboxing videos are videos where box subscribers share what’s in the monthly subscription box and share it with their YouTube audience. To take advantage of the unboxing video hype, collaborate with influential content creators so they can create these unboxing videos each month, OR create them yourself! BarkBox creatively shared what’s in the box on their own YouTube Channel. Looking to get more exposure to your subscription box? Want to get your box in front of new audiences? It’s time to develop your guest posting strategy. In order to successfully get started guest posting, you’ll really need to know your audience (the ideal buyer I mentioned earlier). Once you’re confident that you understand your ideal buyer (from your research), you’ll know what blogs they like to read and what other topics interest them. This point is super important because it will help you determine the best websites to be guest blogging on. If you guest blog on a website but your ideal buyer doesn’t read it or even know about it then it’s a waste of time and money. You need to use your resources strategically. Once you know what type of blogs you’re looking for start researching and making a list of blogs you would want to guest post on. Start by researching on Google, then use tools like SEMRush or BuzzSumo (if they are available to you) and create a more extensive list of blogs. Before you reach out you need to determine what type of content you’re going to share on these blogs. Will it be informational? Entertaining? Inspiring? With guest posts, especially brand guest posts, it’s best that your content be educational, inspirational, etc., and not just about your product. Make sure the audience gets value from your post, and of course add a CTA (call to action) within the blog post containing a FREE offer. This offer could be for a FREE gift, pdf guide, or something else the audience would find valuable (related to the topic of the post). You objective is to capture the new audience reading your content so you can nurture them to become paid subscribers. We are 4x more likely to purchase an item when it’s recommendation from a friend than an ad. Enter the referral program. If you don’t already have one in place, it’s time to develop a program that gives your current subscribers discounts for signing up friends. Referral programs are a big deal when it comes to subscription box marketing. Those that don’t implement their own could be missing out on a massive opportunity. DO we have your attention? There are a few things you need to consider when launching a referral program. What will the person who gives the referral get? How will you get people to take action? How will you keep the system from being abused? You’ll need to make it easy for your current subscribers to use the referral program. Start by making sure your referral program is super simple to follow. Whether you choose to develop a points program, provide discounts, or offer a money back, the action in order to share the referral needs to be able to be completed in a few quick clicks. What Will Your Referral Program Offer? Think about what your referral program will offer your current subscribers for sending their friends your way. If your subscription box is a way of getting people to purchase full-sized items (like Sephora), it makes sense to provide them with coupons or credit for them to use in the store. You’ll notice that each of the examples shared above give their referrers money or points to use in their eCommerce store to buy their products. It’s like a never-ending purchasing loop. They provide you with a referral, the referred friend gets a discount, and the referrer gets “money back” to purchase items in your store. It’s a win-win-win. However, you’ll need to test your referral program with small groups of your subscribers before it goes mainstream. Every audience will respond differently, so test other incentives. The point is to be creative and find the best cost/benefit ratio for your unique program. You need to consider what you can afford to give away, what is the most cost effective, what will drive more sales, and whether or not people will participate. How Will You Let Subscribers Know? A referral program is worthless if no one is using it. When you’re developing your strategy for your subscription box business referral program, make sure you consider how you will share your amazing program with your current subscribers. Add it to your welcome automation series: Once you’ve onboarded your new subscriber add an email in your automation about your referral program. If necessary, link to a landing page where they can find more information. Ask people to share photos on social media with a unique referral code: It’s important to get your community involved by sharing photos on social media. People love receiving, opening, and sharing new things they get, so include (either in your box or via email) a reminder to share photos. Don’t forget to include a unique referral code so their friends can subscribe too. Include print inserts in your box: Depending on your audience, you may find print inserts to be more effective. Include 5 referral inserts in each box so the subscriber can give them away to friends. There is nothing easy about launching an effective Facebook ad campaign. There are plenty of factors to consider including the offer itself. Box discount with the use of a coupon code? General awareness with no discount? A content offer to capture emails? The type of ad you launch and offer your audience will depend on your goal and marketing strategy. If you want more sales, a “buy now” offer will get you that immediate return. If you want to increase your subscribers and nurture them to purchase via email (often more affordable), you’ll need to deploy an entirely different strategy. Make sure you thoroughly understand your goal and strategy before you launch any Facebook ads and have determined how you’ll track campaign success/failure. The tactics involved in successful Facebook marketing are beyond the scope of this guide, but make sure to read our Facebook retargeting guide and blog post on how to create effective Facebook Ad images before you launch any Facebook ad for your subscription box business. Your subscription box business model is one of the thousands. While subscription boxes are becoming increasingly popular, you’ll need to work hard to garner the attention of your ideal buyer and create a community of loyal subscribers. How will you step up your marketing and get in front of your ideal audience? How will you get website visitors to click the buy button? We covered plenty of proven marketing strategies and tips to get people to purchase your box. However, you still need to consider how you’re going to keep them subscribed month after month. After all, successful subscription box business models are about recurring revenue. If you sign up a new subscriber one month just to lose them the next, what good is that?